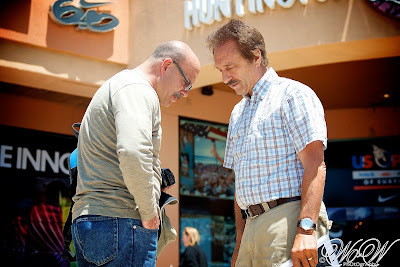 The above photo represents just one of many times Ray Comfort and I have prayed together. The occasion in this photo was just before Ray preached at Huntington Beach, during the last Ambassadors' Academy (#20). I have been a Christian for more than 26 years. During the second half of my lifetime, I have been blessed to not only meet, but to come to know as friends, many genuine men of God--men I respect, men who are my friends, men I love. 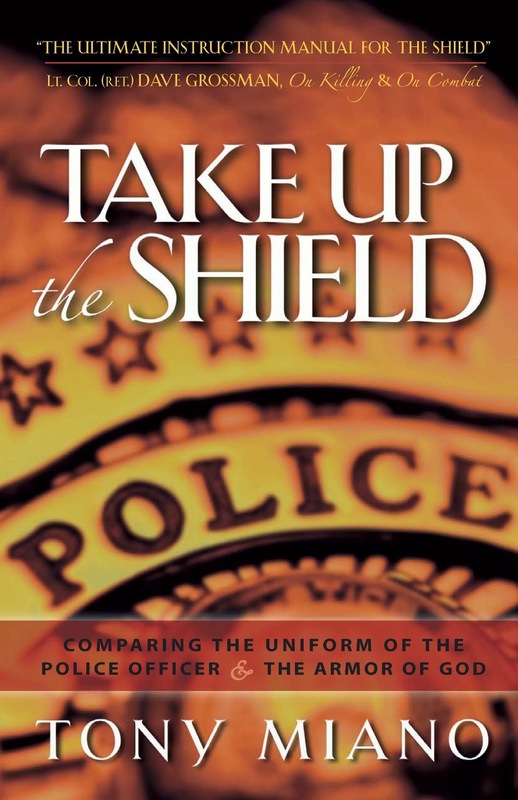 Pastors, open-air preachers, laymen of various stripes and professional backgrounds (including law enforcement). So many men have, and still do, positively and significantly impacted my life that it would be impossible to name them all. But if I had to pick one man, while desperately not wanting to offend the many godly men I know (including the very godly men with whom I served at Living Waters)--one man who has impacted my life more than any other--it would have to be Ray Comfort. "Ray Comfort is a once-in-a-century kind of man. That the Lord would so bless me by allowing me to spend more than four years in day-to-day, side-by-side ministry with Ray Comfort is, to this day, beyond my full comprehension. Ray Comfort has positively, spiritually impacted my life more than any man. "I have never met a more humble, Bible-saturated, Christ-loving, gospel-focused, man of honor, integrity, selflessness, and generosity than Ray Comfort. "I could go on. And someday I just might." Well, now is as good a time as any to "go on" about Ray Comfort. There is so much Ray Comfort has done for the Body of Christ, as well as for individuals, both saved and lost. To go into too much detail would only serve to embarrass Ray. I will say this. I believe, when Ray's time comes, he will have more crowns to lay at his Master's feet than just about any man who has ever lived. We can all think of great evangelists throughout the ages. In doing so, we can all think of men who might have been more theological than Ray, more eloquent than Ray, more famous than Ray, more beloved than Ray. But I challenge anyone to think of another man who, just in his own lifetime, has inspired more people to reach the lost with the gospel of Jesus Christ than Ray Comfort. Don't hurt yourself trying to come up with someone. You won't think of anyone. If I had a dollar for every person, literally around the world, who has said to me, "My life was forever changed when I read 'The Way of the Master," I would never again have to raise support. 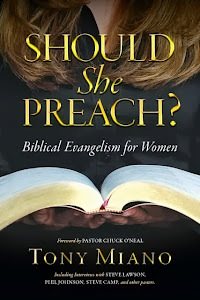 Some of the men I consider the very best open-air preachers in the world today got their starts when they opened one of Ray's books, attended one of Ray's conferences, watched one of Ray's YouTube videos, or watched an episode of the television show "The Way of the Master." Ray Comfort has instructed and encouraged thousands upon thousands of Christians to proclaim the gospel. Some of those people were enthused for only a season. Others were motivated for life. Others have made evangelism their way of life and their livelihood as a direct result of Ray Comfort's influence. I am one of those people. Still others include Ray Comfort in their salvation testimony--people who lived for years as false converts, but were drawn to genuine repentance and faith in Jesus Christ after hearing Ray preach the gospel. Now, just picture in your mind, if you can, all of those Christians Ray has impacted, and then picture all of them proclaiming the gospel. Some are distributing tracts with a smile so bright, so wide, it's obvious that the joy of the Lord is their strength. Can you see them? Some no longer have the word "stranger" in their vocabulary, for they talk to everyone they meet about Jesus. They see everyone as more important than themselves. Can you see them? And some remind the world that there are still prophets (those forth-telling God's truth revealed in His Word), heralds, in the land--men of God willing to risk life and limb, position and popularity, and even the consternation and rejection of their churches and a Christ-less system called "American Evangelicalism" to stand atop a box, or a stool, or a park bench, just to fill their lungs with air and roar like a lion for Jesus' sake. Can you see them? I can. I can see them. I have seen them. I do see them. I see them most every day of my life. And when I see them I cannot help but to also see the beaming smile draped now in a beard and the sparkling shimmer in the eyes of Ray Comfort. Ray Comfort's message has not changed in some 40 years. The reason: the gospel has not changed in 40 years, and it never will. The gospel is the same yesterday, today, and forever. The way Ray communicates that never-changing gospel hasn't changed either. Trivia, the "Good Person Test," the law and the gospel, the call to repent and believe, answering questions, the law and the gospel, the call to repent and believe, more questions, and so on. If it ain't broke, why fix it? I remember being with Ray one afternoon on the campus of USC. For almost two hours, Ray handled everything the young, stubborn, arrogant, intellectually elite students (and a few professors) could throw at him. One-by-one, he dismantled godless worldviews and arguments, always bringing the conversation back to the gospel. For almost two hours, Ray preached, debated, and smiled. It was fitting we were on a college campus that day, for Ray took all of us who were with him through a Master's Degree-level class in open-air preaching. Ray is more consistent than an In-n-Out Double-Double (Socal burger reference). Every time Ray steps atop a box or some other apparatus to elevate his diminutive frame, those familiar with him know exactly what they are going to get. It's never boring--not because Ray isn't entertaining (he is), but because the gospel is never boring. And it's never boring to hear the gospel come from the mouth of a man who loves Jesus, loves people, and loves the mission to which the Lord has called him as much as Ray Comfort does. Ray Comfort, more than any man I know, truly loves lost people. While Ray's emotions run very deep, he would not describe himself as a crying man. In fact, he used to tease me because I can cry like a baby, over just about anything. "Tony, you're not going to cry again, are you?" He would ask me with a a wink and a smile. To see and understand just how much Ray loves lost people, you need to watch the end of his open-air interactions with hecklers. The hecklers Ray attracts are some of the vilest, most wicked, most profane people with whom you could ever have occasion to make contact. Ray never backs down. Even more remarkable is that in spite of the torrent of verbal abuse he faces when he preaches, Ray never responds in kind. Ray is firm. Ray is resolute. Ray doesn't let anyone off the hook. Ray will provoke people who walk away just to make them come back and hear the gospel. But Ray is always kind. Ray can spend 30 minutes being berated by a heckler and, when he steps off the box, walk over to the heckler and shake his hand or give him a hug. More remarkable still is the heckler, who a few moments earlier was spitting mad, will likewise embrace Ray. You cannot watch Ray Comfort preach to the masses and not realize he believes what he says and he loves the people to whom he says it. I wish I could be more like Ray, in this regard. Many of Ray Comfort's retractors accuse him of being one man when in the public's eye and another man entirely when the world can't see him. Let's face it, who among us can honestly say we never put on airs, from time to time. There is a little, sinful "people-pleaser" in all of us. But I have never met a man whose character and persona is as consistent as Ray Comfort's. What you see is really and literally what you get, with Ray Comfort. The Ray Comfort that most people don't get to see is the Ray Comfort I love the most--the Ray Comfort with whom I spent more than four years, on a daily basis. Out of respect for Ray and his privacy, I will give very few details. What Ray does in his day-to-day life is ultimately his business, and for me to go into great detail might violate a trust or a confidence. But this I can say. I spent 20 years of my life reading people. We had a saying in law enforcement. "I know you're lying because your lips are moving." It was never a question of if a person would lie to me. It was simply a question of when. Phony criminals; phony victims; phony witnesses; even a few phony officers: it was easy to see through people. It still is. One of my concerns about joining the Living Waters team (it's a family, really) was having my Ray Comfort bubble burst. Would I learn that the Ray Comfort I had come to love and respect from afar wasn't the same man up close? So, I watched him. I watched all of the public faces at Living Waters. I'm sure they watched me, too. After all, I was new to the family. In the more than four years I served with Living Waters, Ray never gave me any reason to question his integrity, his passion, his compassion, his love, his kindness, his truthfulness, his zeal, or his commitment to the gospel mission. On the contrary: what I saw from Ray behind the scenes only served to bolster everything I had seen in his public persona. In fact, as wonderfully endearing as his public persona is, the Ray Comfort within the confines of Living Waters HQ, or his living room, or in a car on the way to open-air preach or to do a film shoot is even more wonderfully endearing. And Ray is loyal. If you are part of Ray's team, his family, he will do everything and anything he can to support you, encourage you, and correct you with the love of a father or, in my case, an older brother. Ray Comfort is far from perfect, and he would be the first person to say so. But Ray has been as close to a "Paul" in my life as I've ever had. I am forever in Christ's debt, and Ray's, for the time I was given to spend with Ray. Yes, Ray is far from perfect. But I've learned so much from Ray. Yes, Ray has taught me much about open-air preaching and evangelism in general. But Ray has also taught me about how a man should love his wife, how a father should love his children, how a leader should lead others, what a man of the Word and a man of prayer really looks like, and what real humility looks like in a genuine man of God. That's Ray Comfort. That's who Ray Comfort is to me: a mentor, a true friend, a genuine man of God. I love you, Ray. Thank you, brother. I agree. He is truly the salt and light. What you guys do is highly respectable. I could never do what you do!!! Ray Comfort was a primary Bible teacher in my Christian infancy while attending a really bad church. 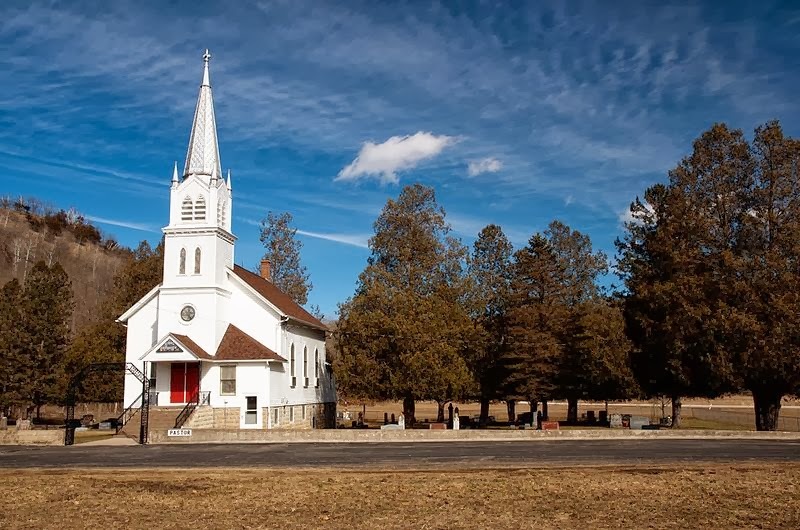 His influence helped me to see I needed to leave that church, and he strengthened my faith greatly by showing me how reliable God's Word was in a way that I could understand. And to Anonymous-> YOU CAN DO what we do. Pray God the Holy Spirit to give you courage. You are equipped if you are born-again! Great article brother! I love Ray! When i brought my dad to a Transformed conference he was changed forever into a witness for Christ. He got to meet Ray and he was so encouraged. I'm so thankful for his ministry to me and my father, words aren't enough. I'm an easy crier too brother and I admit I teared up reading this tribute. Defnitely will be sharing it!